As the past two decades of warfare have proven, today’s skirmishes are dynamic, violent, and often fought in close quarters. Sprinting to cover, scaling walls for a better observation point, dragging someone to safety, or booting an enemy combatant in the chest to keep control of your weapon— these are all activities that require maximum-limit strength, at-the-ready explosiveness, and a knack for covering ground faster than the enemy can track you with the barrel of an AK-47. 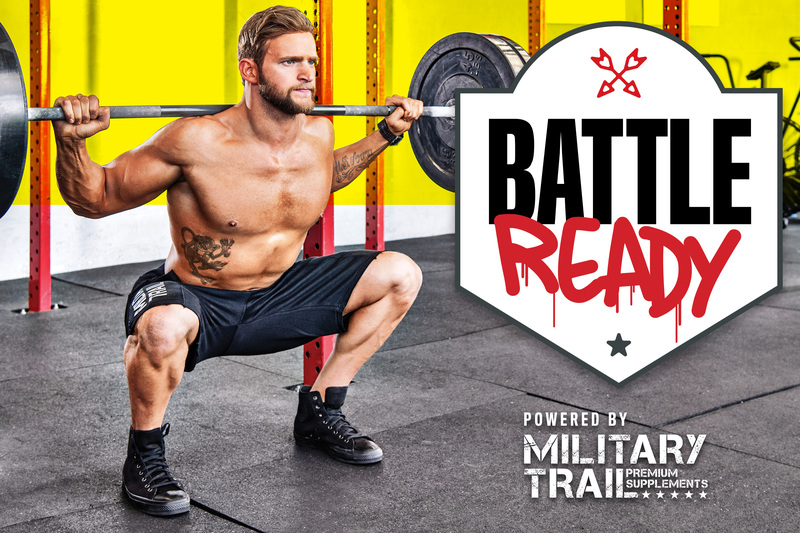 Training for these sorts of skills will not only improve your strength, speed and durability, but adopting an elite soldier’s work habits in the gym will definitely have an impact on the way your body looks as well. By training with heavy weights and working on speed development, you are enhancing your body’s fast-twitch musculature. These are the muscle fibers most responsible for growth. This type of work also results in greater testosterone levels and growth hormone release, provided you are feeding yourself well and sleeping enough, of course. If you’re ready to develop a physique capable of lifting more, running faster, and being generally fitter to fight, this 12-week program is just what the doctor—or drill sergeant—ordered. This program consists of three four-week phases. Each phase is tougher than the one preceding it. In the absence of a drill sergeant barking orders at you, you will have to gauge your adaptation on your own. To do that, we’ve provided three challenges that you can tackle weekly. The program will be painfully absent of any familiar single-joint work like curls, flyes, and lateral raises. Elite troops need to use overwhelming force to knock down resistance, and that means calling as much muscle to the fight as possible. The training that follows will reflect that. Expect plenty of full-body strength builders, plus upper-body widow-makers and all-out sprints. It is challenging and unconventional, but it is meant to pay homage to the training employed by our fighting men and women in service to this country.